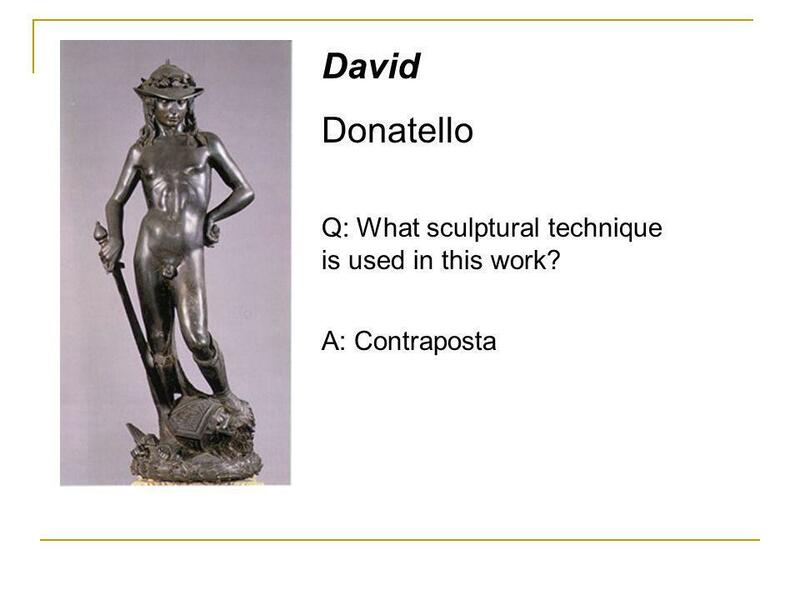 4 David Donatello Q: What sculptural technique is used in this work? 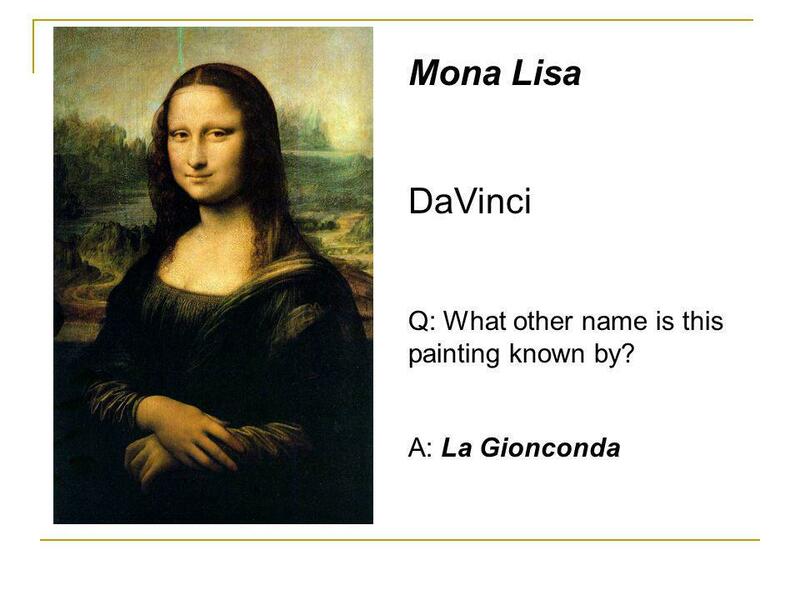 9 Mona Lisa DaVinci Q: What other name is this painting known by? 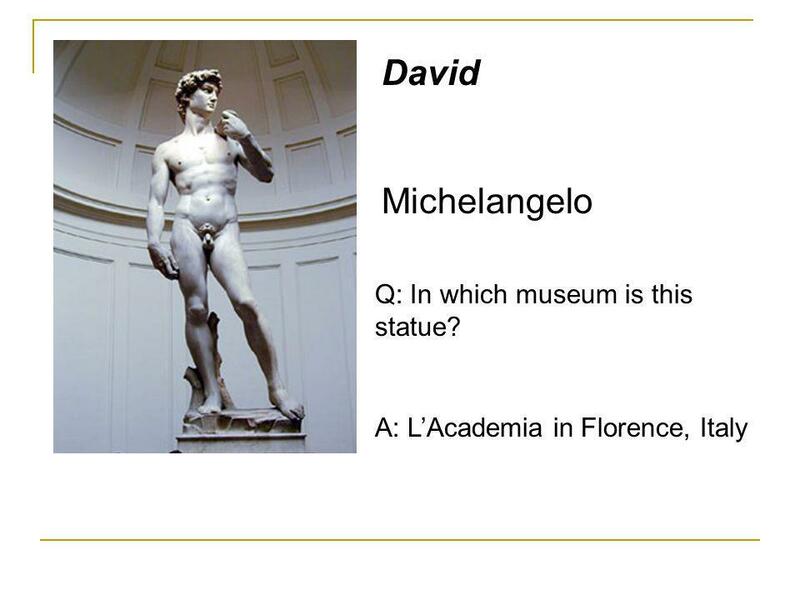 12 David Michelangelo Q: In which museum is this statue? 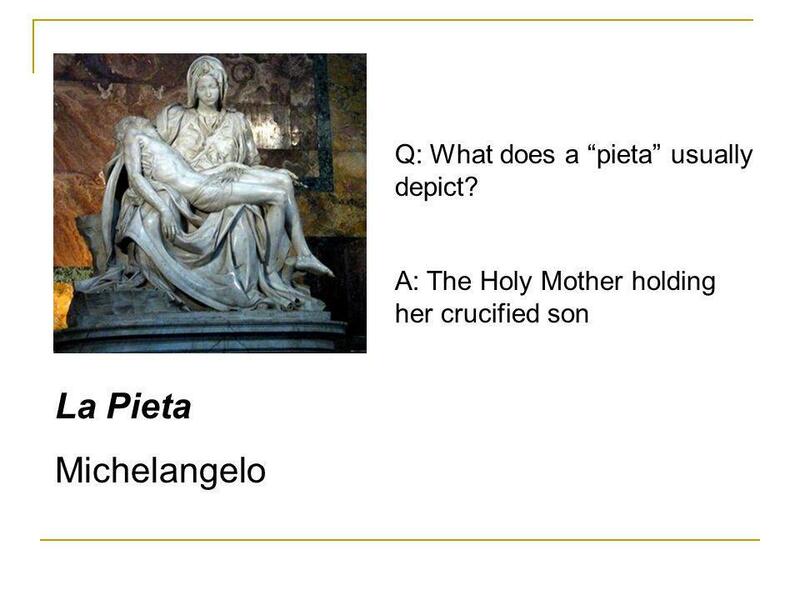 14 La Pieta Michelangelo Q: What does a “pieta” usually depict? 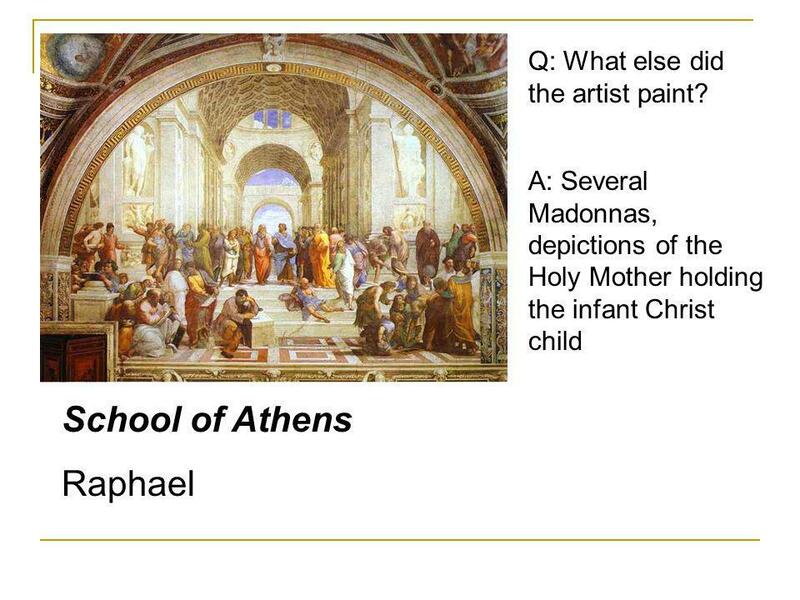 16 School of Athens Raphael Q: What else did the artist paint? 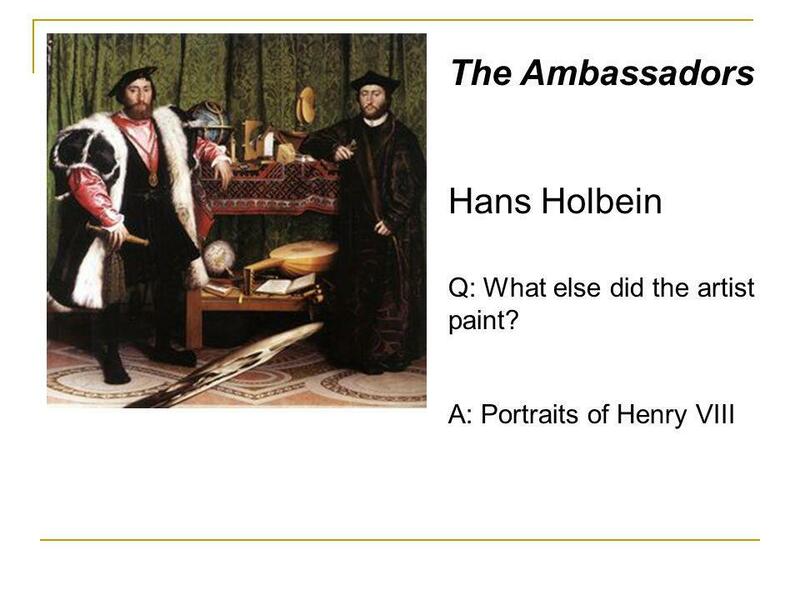 23 The Ambassadors Hans Holbein Q: What else did the artist paint? 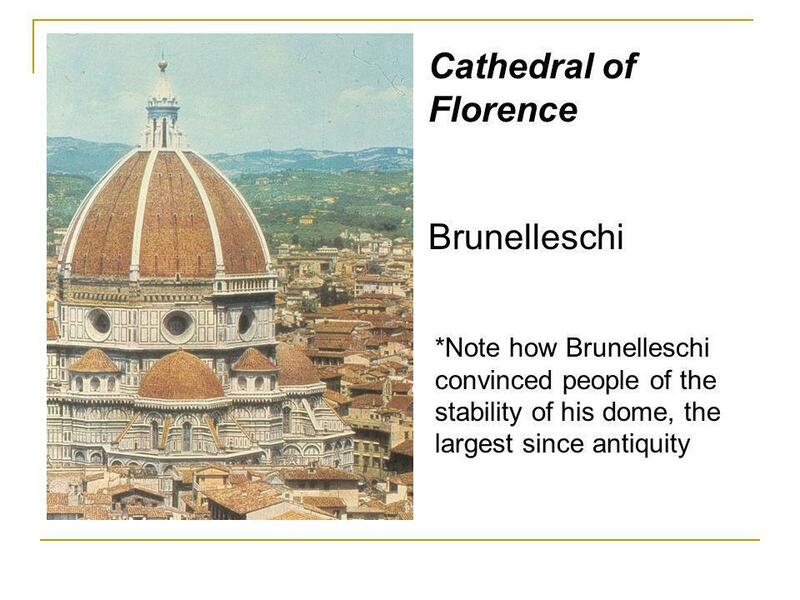 Download ppt "RENAISSANCE ART & ARCHITECTURE"
The Renaissance 1300 – 1500, 14th – 16thcentury. 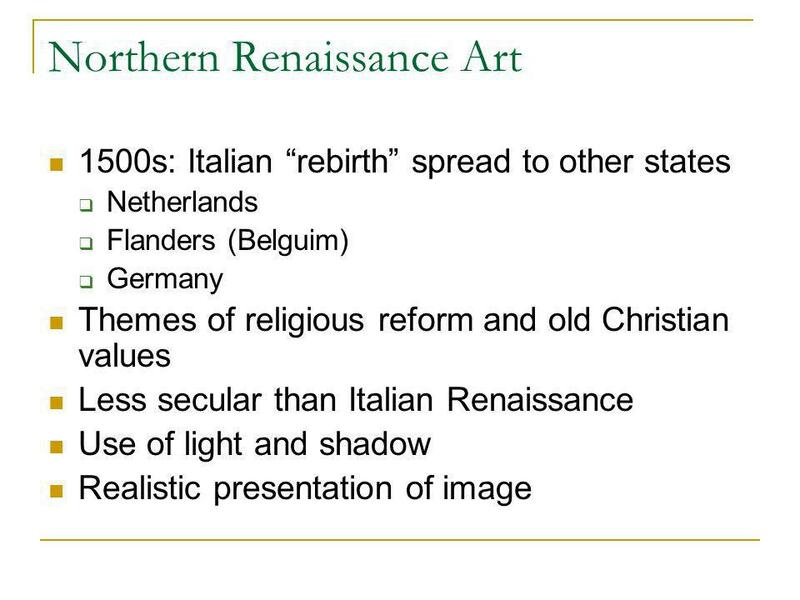 Re-Birth, (1) revival of learning based on classical sources (Greece and Rome), (2) Courtly and papal. 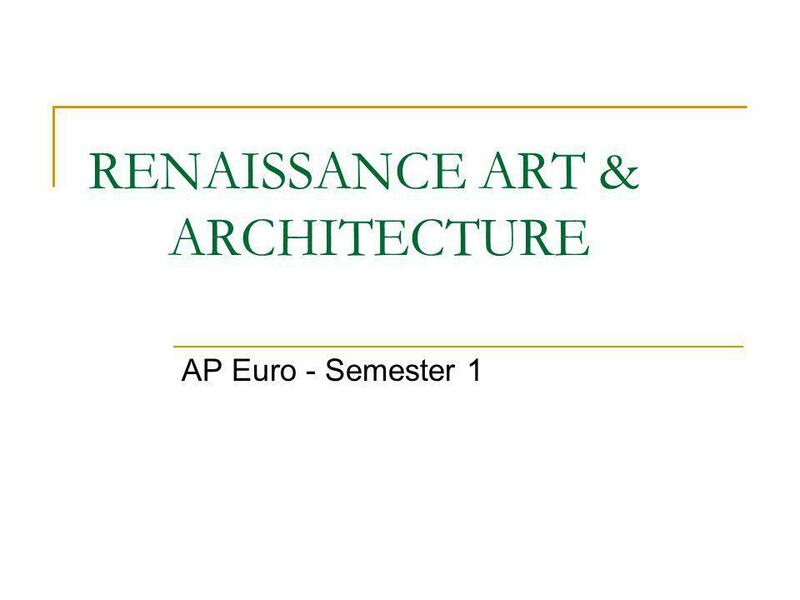 Mr. Brook’s Renaissance & Northern Renaissance art study guide Renaissance Artists Brunelleschi Ghiberti Donatello da Vinci Michelangelo Raphael Botticelli. 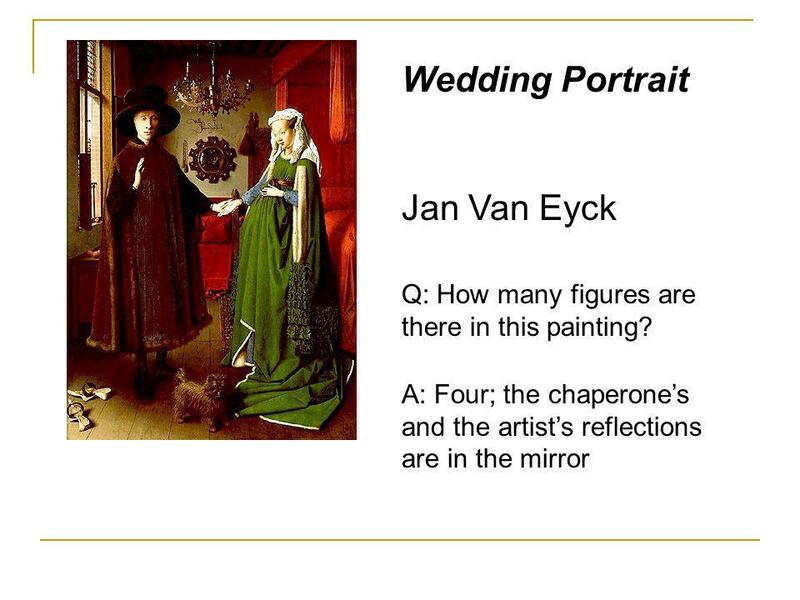 Essential Question: How did the Renaissance change art in Western Europe? 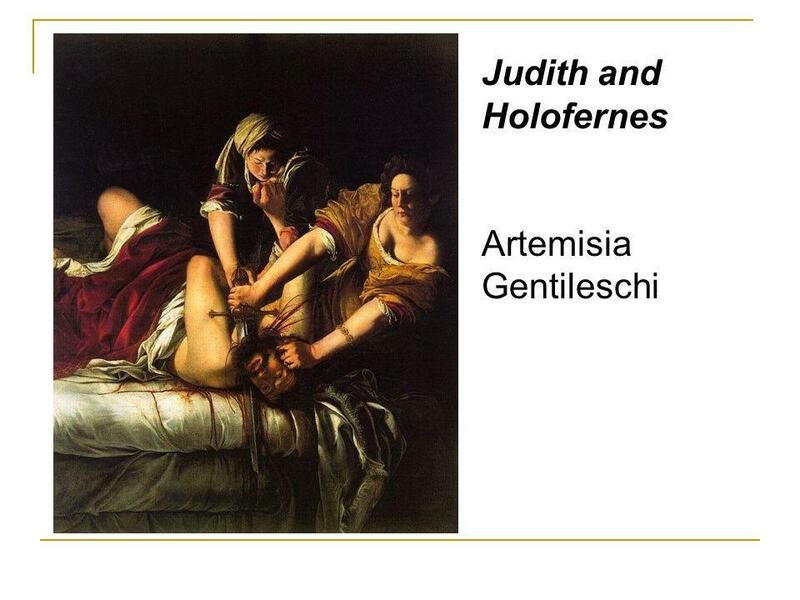 Warm-Up Question: Define these terms: Renaissance Humanism Classicism Why did. 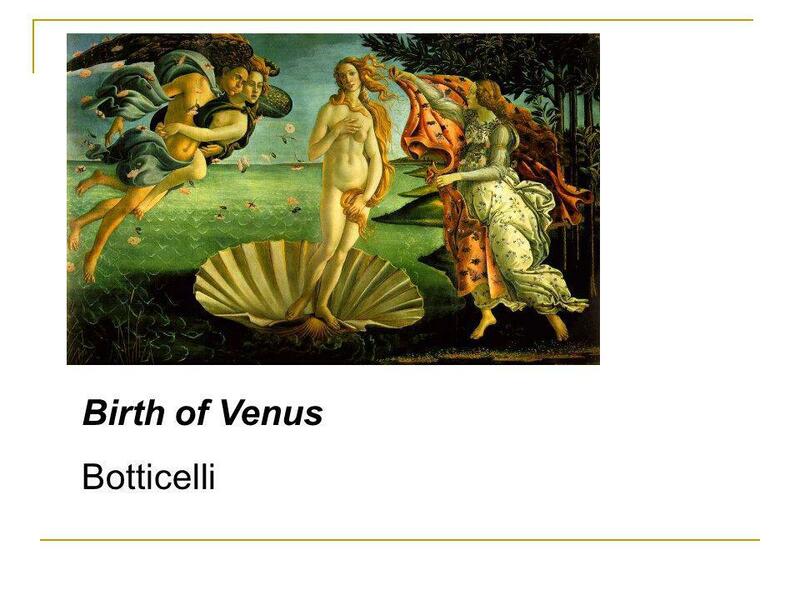 The Renaissance in Italy. 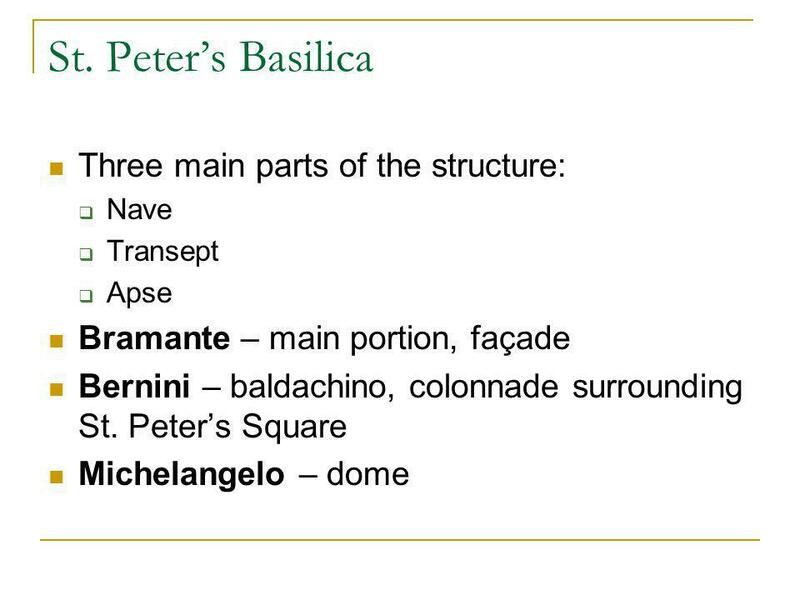 Features of the Renaissance  What does the word mean? 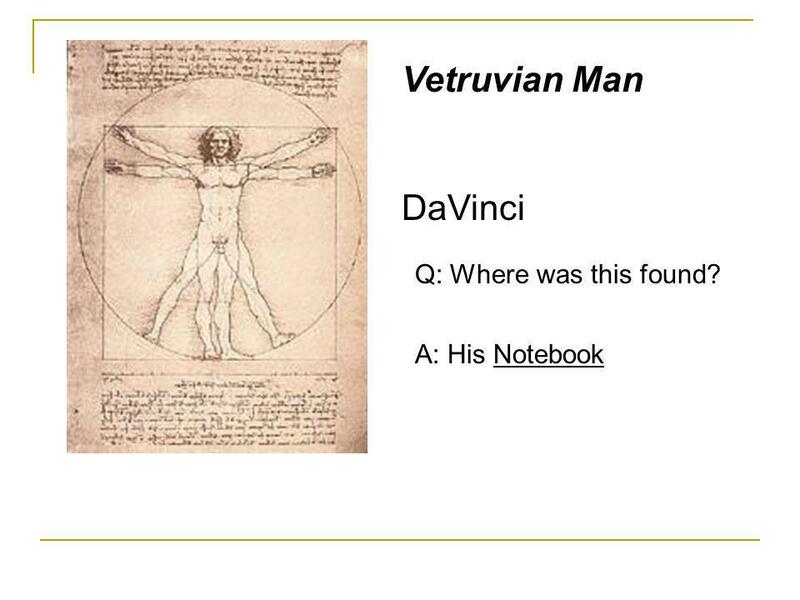  Secular and scientific values (spirit of adventure)  Still very Christian. 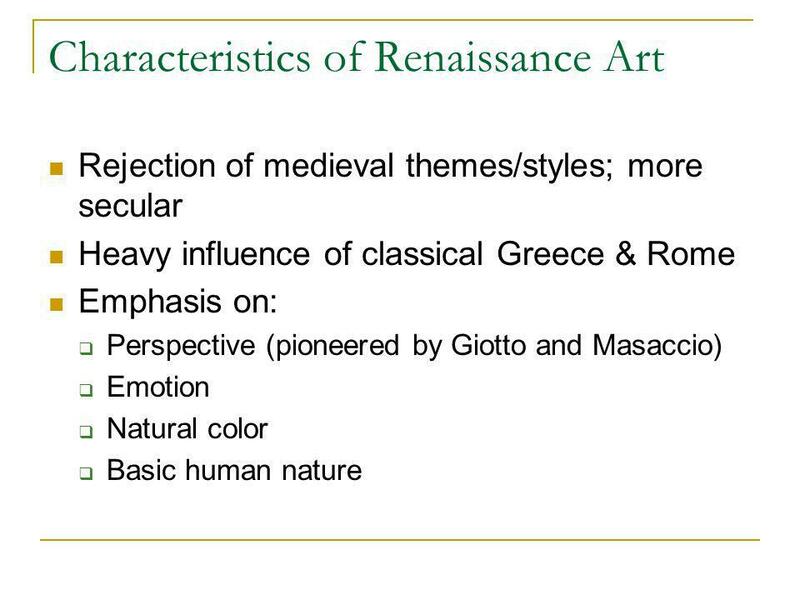 Renaissance Art As with Renaissance Literature, three themes of Renaissance Art: Humanism, Secularism, and Classicism. 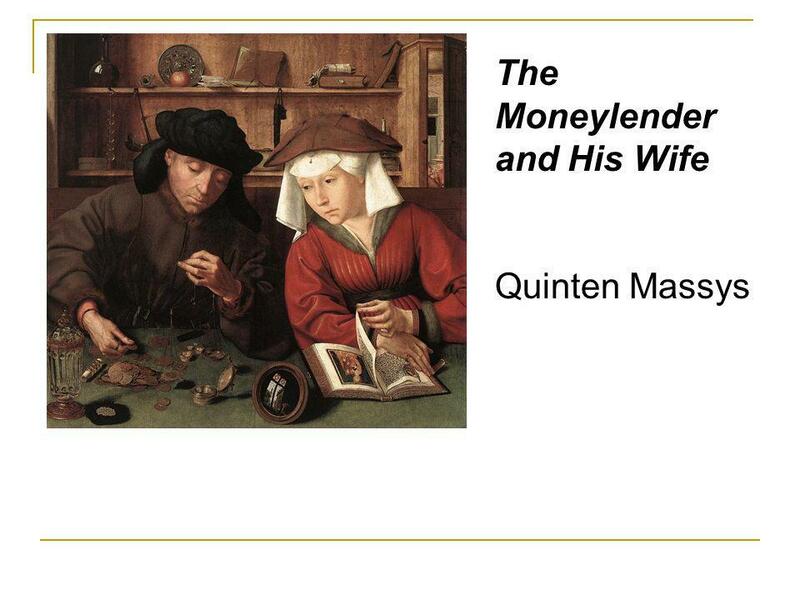 The Renaissance will see a shift. 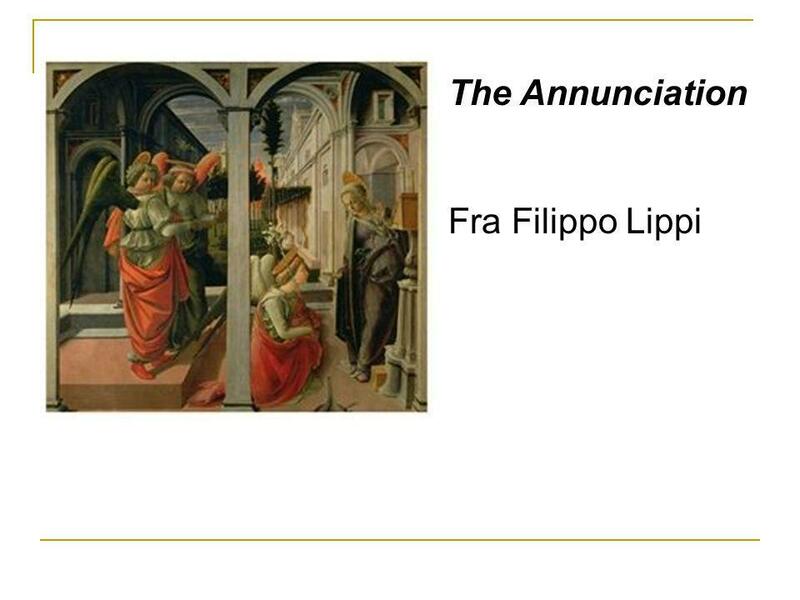 Early Renaissance “The Tribute Money” by Masaccio The painting is part of a cycle on the life of Saint Peter, and describes a scene from the. The Renaissance Raphael, The School of Athens, 1510. 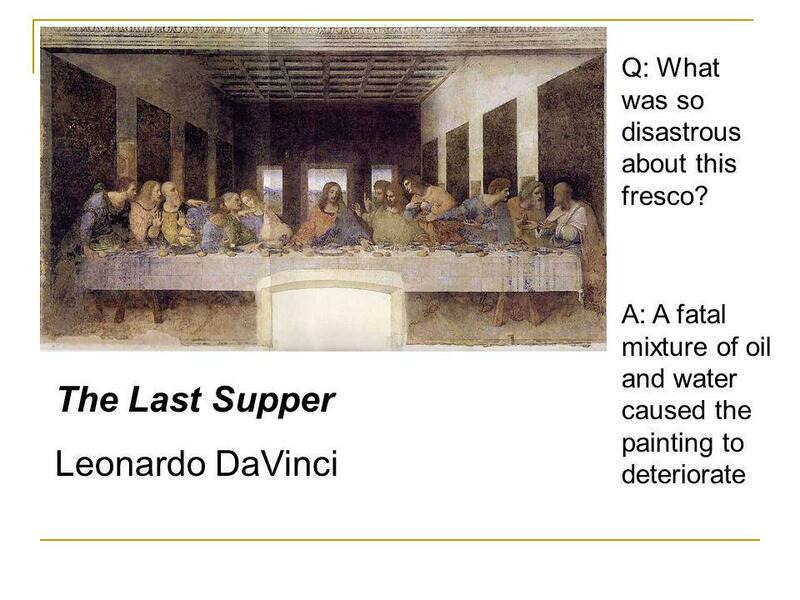 RENAISSANCE ART. 1. 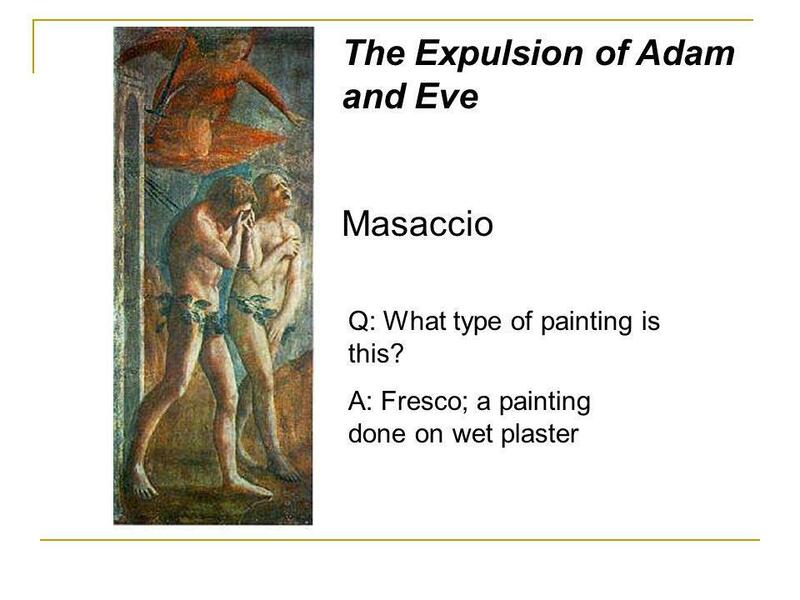 Realism & Expression Expulsion from the Garden Expulsion from the Garden Masaccio Masaccio First nudes since classical times. 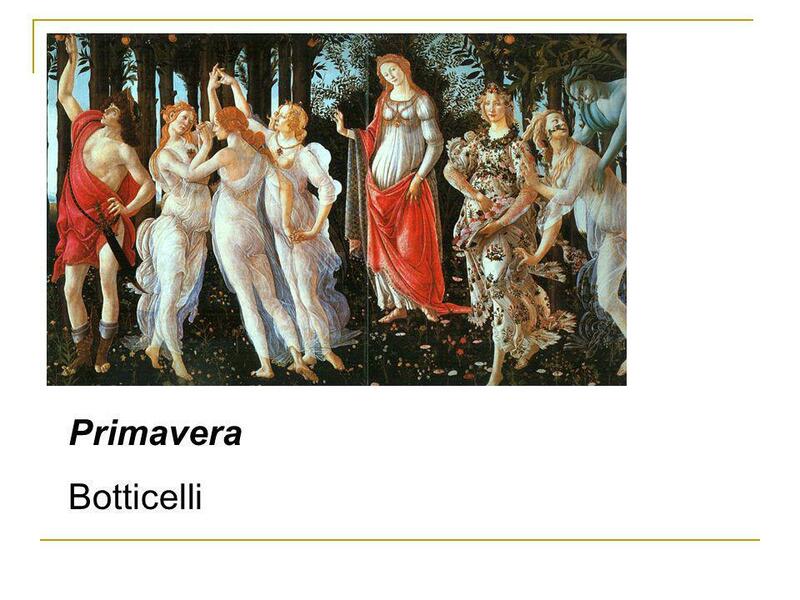 Great Artists of the Renaissance. 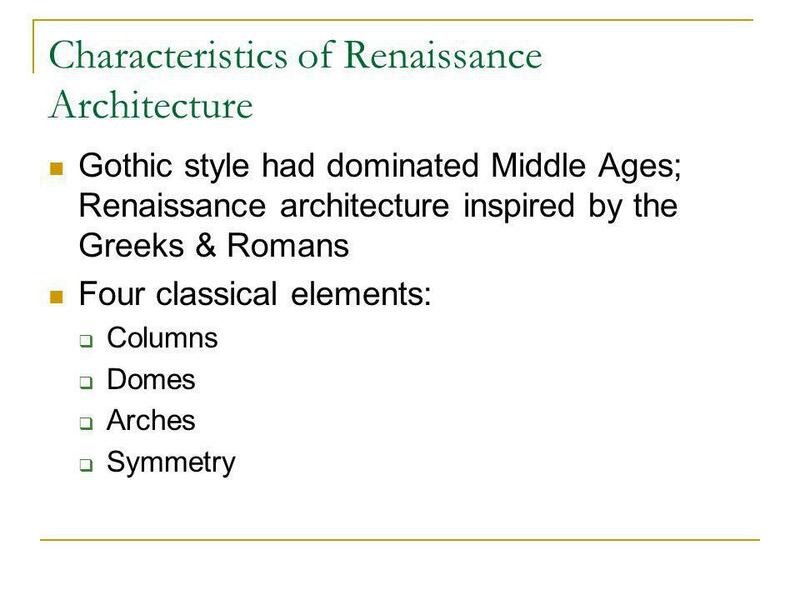 Renaissance Artists Essential Question: In your own words, define the following terms: Renaissance Humanism Classicism Warm-Up: Why did the Renaissance. 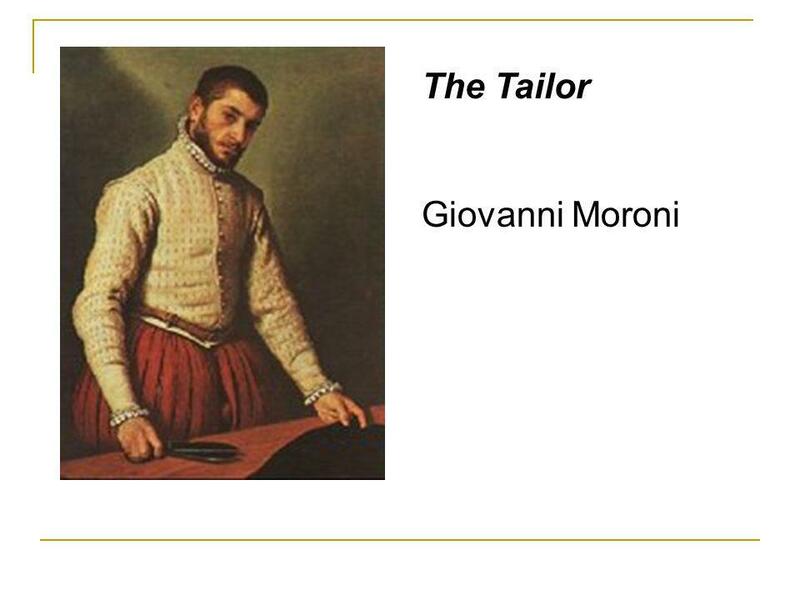 THE RENAISSANCE. 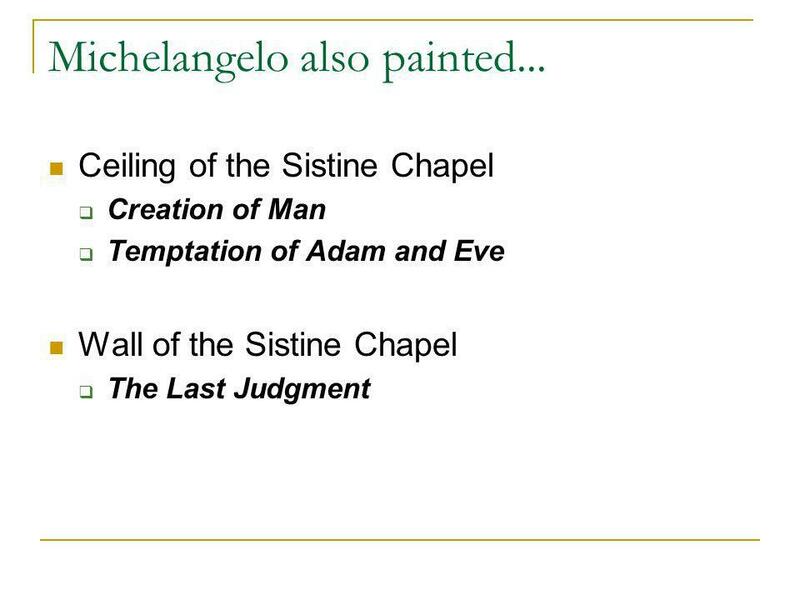 THE BAPTISTRY DOORS n LORENZO GHIBERTI n 1435 n EACH PANEL – 21 X 17 n NATIONAL MUSEUM, FLORENCE. 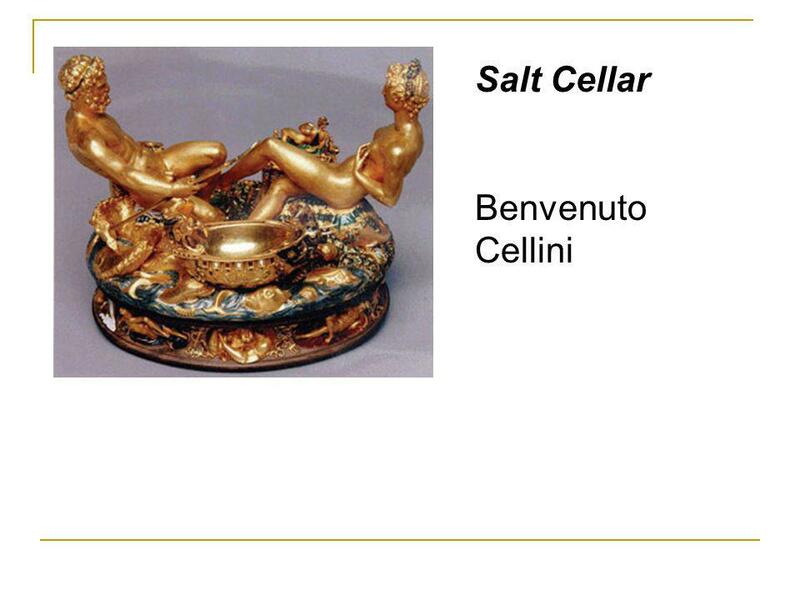 FIFTH GRADE VISUAL ARTS I. 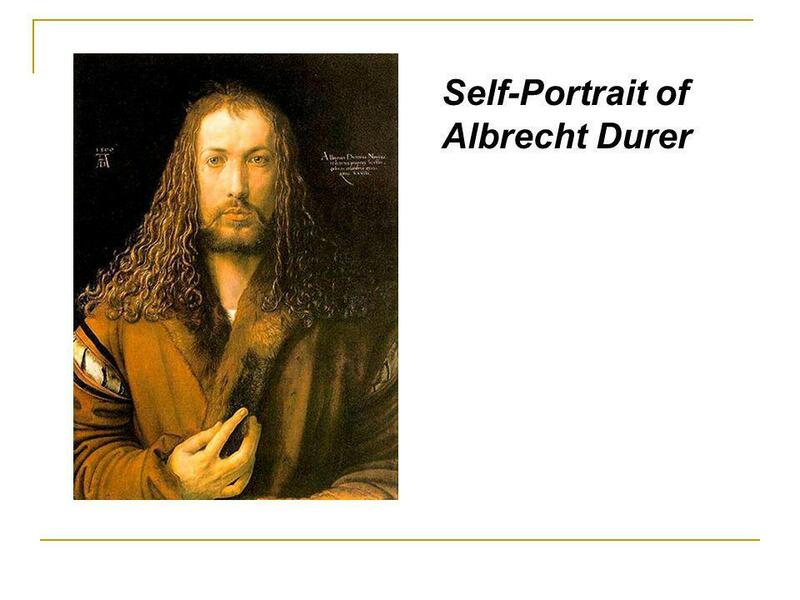 Art of the Renaissance. 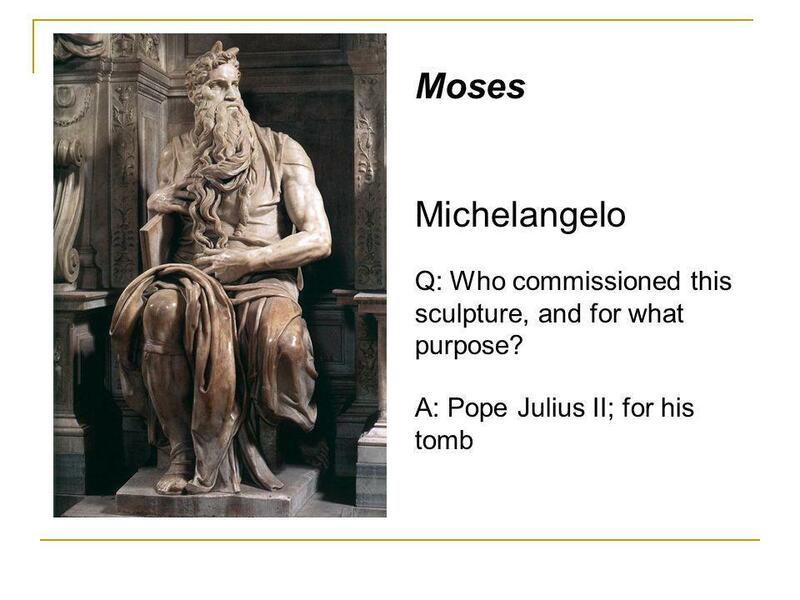 Italian Renaissance Art Michelangelo – Sculptor David.